Keen on diversifying into the fast growing solar energy field as a power producer or a manufacturer? Let EAI Solar Mango’s unparalleled intelligence and connections assist you. We assisted a $50 billion Germany engineering major in understanding emerging market segments within solar power generation for them to devise the optimal markets to enter. With our decade long acquaintance with the Indian renewable energy sector, we provide in-depth insights and analysis on the size and growth prospects within the solar energy sector, and identify niche opportunities. This is a critical activity, as many solar power projects especially are long-term projects and hence require rigorous financial due diligence. With our thorough understanding of every tangible and intangible component in the solar power sector, we can develop sound feasibility analysis for those entering the solar sector, and provide detailed financial models for different scenarios. There is significant competition in specific parts of solar PV value chain, especially in cells and modules, in off grid products, in the EPC segment and in the power plant developer sectors. We evaluate the competitive landscape within the sector, with a detailed look at the strengths and weaknesses of principal competitors. We analyse the key drivers for success for the various solar PV segments in the Indian context, and project the impact of future developments. 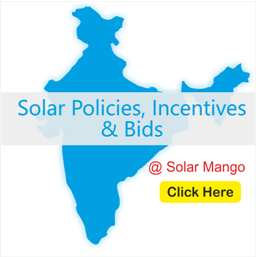 The Solar Mango team continuously interacts with central and state governments on their solar policies, and has an excellent understanding of the ramifications and benefits of these policies. We leverage this expertise while devising the diversification strategies for our clients. Solar Mango has a strong market and marketing focus on every assignment we undertake. With our strategic and in-depth understanding of the Indian renewable energy market, we are in an exceptional position to assist you in arriving at the optimal marketing and sales strategies that provide the greatest long-term value. 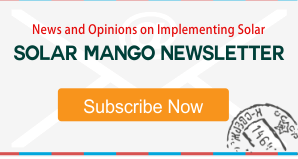 Solar Mango is one of the most well-connected firms in the Indian solar energy sector, with our popular web resource, online community and the country’s largest renewable energy newsletter. Using this unique intersection of industry knowledge and connections, we can assist in identifying and shortlisting the most effective technology and marketing partners for you.